3. Pre-qualify, have a game plan, and take inventory. Systems and structures are critical for staying on purpose, while remaining efficient and focused. First, pre-qualify like a boss. Learn scripts and dialogues that quickly get the information you need to determine if a person has something to offer your business. 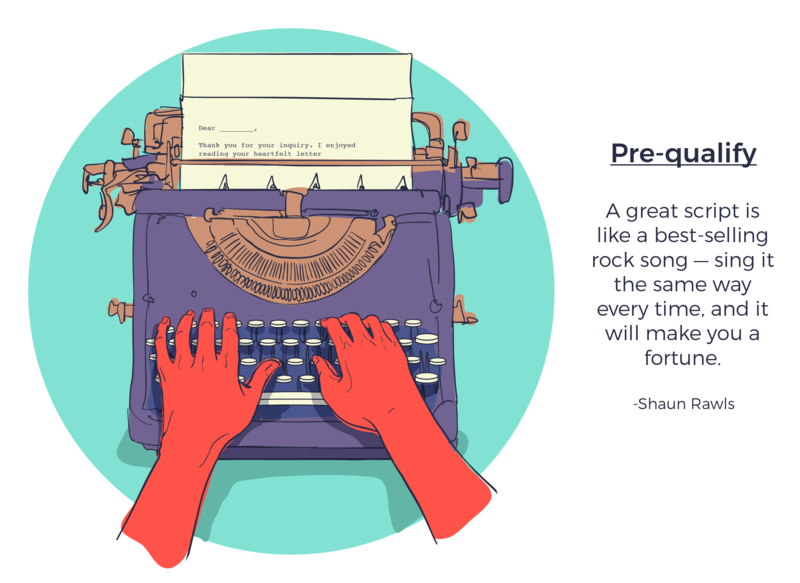 A great script is like a best-selling rock song: sing it the same way every time, and it will make you a fortune. Second, follow a game plan. Having a clear business plan will provide an initial sense of what services and people your business needs to excel going forward, making it easier to determine whom to give your time to.